We all live in systems and behave differently in every system. The strongest system is probably the family system. With Psycho-Kinesiology and Mental Field Techniques according to Dr. Klinghardt, we already have important treatments available to detect systemic conflicts and to resolve them with the patient. Family Constellation is a process which is conducted in one session to deal with difficulties you have found in your life. This can be done individually with the patient alone or together with one or more confidants. Behaviours or actions of family members can have significant and unconscious effects on you that can last over generations and alter the epigenetic imprint. In constellation work we look at the connection of your current life problems and issues that your past generations in your family might have had. We experience that some patients feel an instant relief and clarity after a Family Constellation, however it is not a quick-fix or a short-term solution. Some patients found that it can take months for the full benefits of the Family Constellation to unfold in their life. 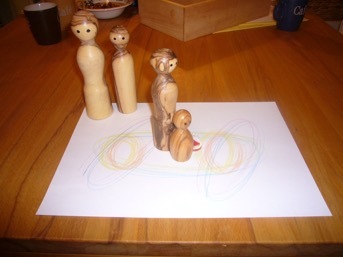 Family Constellations can help in personal growth or as a useful support to other forms of Counselling, Coaching, or Therapy at SophiaHealth Insitute Kaufbeuren.